We British think of ourselves as open, tolerant people, welcoming those from all over the globe to our country. However, the reverse isn’t always true. Simply being British doesn’t mean you’ll be welcome everywhere. In fact, there are a few places where your nationality can be quite dangerous, even deadly. That’s a little different to the bulletins from the Foreign and Commonwealth Office, which issues regular travel advisories based on conditions in different countries. Those change regularly depending on what’s happening in the region. This other list is more permanent, and could end up in death, kidnap, or at the very least being shunned and hated. Thankfully, it’s a relatively small number of countries. In spite of the legacy of the British Empire (or possibly because of it!) we’re welcome in most areas of the globe. It will probably come as no surprise at all to learn that being British in Iraq and Afghanistan won’t win you a lot of friends. However, those aren’t places anyone would be likely to travel for pleasure, even if you’d be allowed to do that. Somalia is also one of the world’s most dangerous places for Britons. It’s the home of the pirates who’ve been plaguing shipping, and any Briton travelling there is liable to be kidnapped and ransomed. A number of places in Africa can prove to be bad for British visitors, too. The Democratic Republic of Congo, much of Nigeria, and the Central African Republic don’t look too kindly on the British for different reasons. Because of the regular kidnapping in the country, Colombia probably isn’t a good holiday destination, either. Although a number of British people do travel to Iran, it’s a volatile country, and one in which some members of the population won’t receive the British well, while others will be glad to talk; if you go there, you need to be very careful. It’s worthwhile being aware of what’s happening in the world, since that can affect the way the British are received in certain countries. Several years ago, for instance, the Liberian president accused the UK of committing atrocities in the country, which was widely reported locally, and made things problematic for any British visiting the country. That applies to any country where politicians have accused Britain of involvement in the nation’s politics. In all likelihood it will all be lies, but it will inflame portions of the population, meaning you’ll be less welcome. Some areas of the globe offer more problems than others. You’ll be fine anywhere in Europe, for instance, but you need to take care in most of sub-Saharan Africa, for instance, and parts of the Balkans, such as Kosovo. 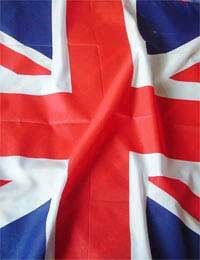 Wherever you go, you’ll find certain people who don’t like the British, often for quite irrational reasons. Even in countries like American and Australia you’ll encounter occasional people who simply won’t like you because you’re British – and there’s nothing you can do to change that. Before booking a trip abroad, do your research about the place. If it seems as if being British could be a liability, then think long and hard before booking, and if you do go, use your common sense, keep a low profile, and do nothing to advertise your nationality.